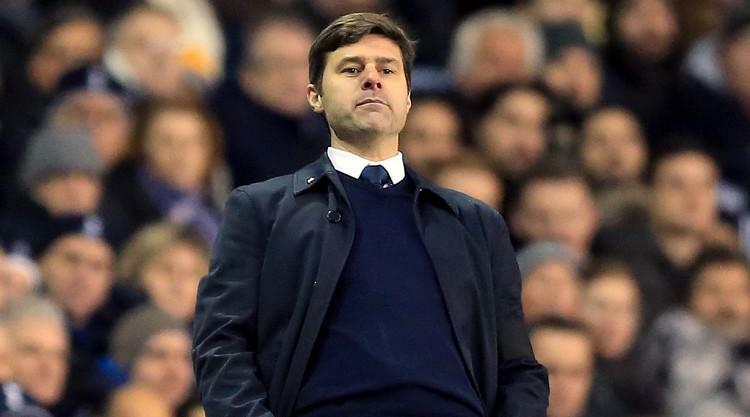 Mauricio Pochettino insists he is not concerned about Tottenham losing more ground on the top four. Spurs could have moved onto the shoulder of fourth-placed Liverpool and put some daylight between themselves and Arsenal in sixth with a win over lowly West Ham on Thursday night. Instead they had to settle for a point, and were grateful for that, after Son Heung-Min's 30-yard stunner cancelled out Pedro Obiang's bolt from the claret and blue. However, Spurs boss Pochettino said: "I am not thinking about it, I am not worried. "We are in the middle of the season. I think we are close. We missed the opportunity here but I think we are close. "I'm very pleased with all of the players, only sometimes you need some luck to open the game, like it was when we played Southampton. "I think it was a similar game to that one. One was 5-2, and this was 1-1." Obiang stunned Tottenham with West Ham's first shot of the match after 70 minutes. The Spanish midfielder let fly from 30 yards - which was about as close as West Ham got to the Spurs goal - with a rocket which flew past goalkeeper Hugo Lloris and into the top corner. But Spurs hit back in equally spectacular style with another long-range cracker from Son, who finally got the better of Hammers keeper Adrian with six minutes left. Hammers boss David Moyes admitted he was as surprised as anyone to see Obiang rifle home only his third goal for the club. "It was a brilliant strike," he said. "I hadn't seen him do it in training, though." West Ham, who were in the relegation zone on Tuesday morning, could have climbed to 11th had they held on. But Moyes added: "Confidence is growing with our results. We have started to look stronger, but then we have lost a few goals. "In the main, we have only lost one game in seven. They are disappointed they didn't win it."